Sometimes I just never know what I will see near my house. I was riding in a friend's car to go to a rummage sale when we spotted this. 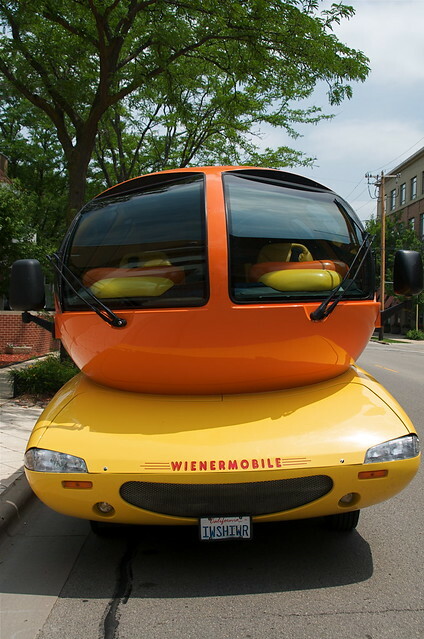 The strangest vehicle ever: The Wienermobile! 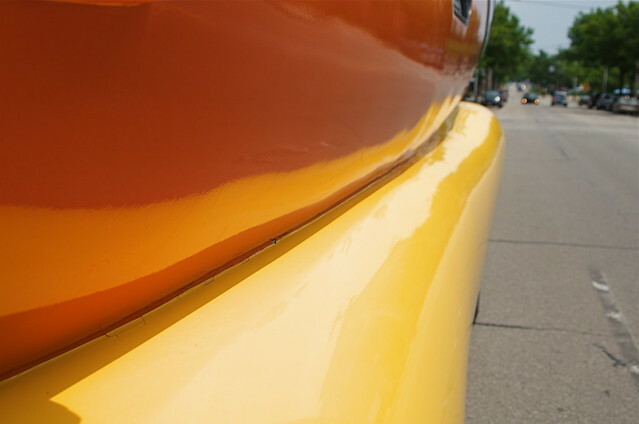 First created in 1936, the Wienermobiles are rolling advertisements for Oscar Mayer hot dogs. 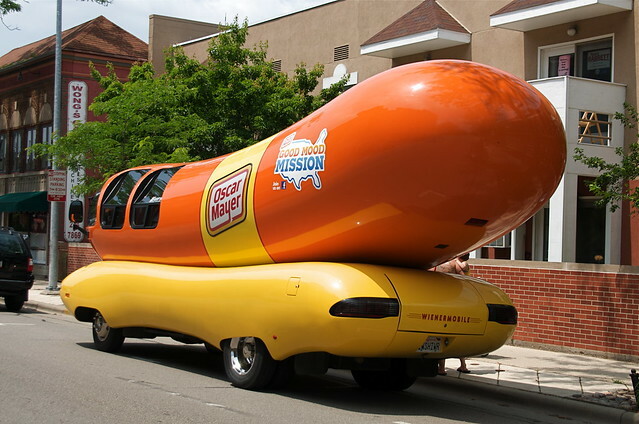 There are currently five of them, and as Oscar Mayer used to be headquartered here, and there is still a large presence of the company (now a Kraft subsidiary) Wienermobiles are spotted here often enough to be well known. Numerous motorists stopped and gawked though, so it still clearly has a high novelty value. The drivers are known as "hotdoggers". Perhaps a telling tidbit: U.S. Representative Paul Ryan (R-WI) was employed as a hotdogger. The license plate on this vehicle, IWSHIWR is a reference to the Oscar Mayer hot dog jingle. "Oh I wish I were an Oscar Mayer wiener. Everyone would be in love with me!"